Even luxury car owners can use a break when it comes to insurance prices. Ratelab’s car insurance calculator doesn’t discriminate against high priced cars! Take a few minutes to enter information about your vehicle and insurance needs and a search of dozens of insurance industry partners returns up to 10 low-cost quotes based on the coverage you want. The process is simple. Enter your home postal code in the space provided on this page. The calculator guides you through the rest. The table below shows Infiniti car insurance cost for a sample driver. Methodology: We surveyed Infiniti car insurance prices in select Canadian cities for the purpose of illustrating the average quotes for a male driver aged 35 years in city downtown with owned Infiniti Q50 4DR 2015 model car. When it comes to protecting occupants, Infiniti models do it right, a trait that many luxury vehicles have in common. No Infiniti model exceeds the average for accident benefit claims, as reported by the Insurance Bureau of Canada. Certain Infiniti models perform better than average, with fewer claims for personal injury. These include the EX35, Q50 and QX56 four door models. All other Infiniti models fall within national averages. Protecting occupants well lowers insurance premiums for these vehicles. The Infiniti model leans heavily toward vehicle styles that traditionally draw a safe driving demographic. This may moderate some of the typical luxury car factors that increase insurance costs. Of the 11 models making up the 2016 Infiniti line, only the Q60 Coupe provides two door sports styling. The remainder of the models are four-door sedans, sport utility vehicles or crossovers. Those three designs, popular with conservative family motorists, usually have moderate insurance costs, due to the numbers of traditionally safe drivers the vehicle classes attract. As with most luxury cars in today’s market, Infiniti seeks to expand luxury sales into younger, affluent drivers. 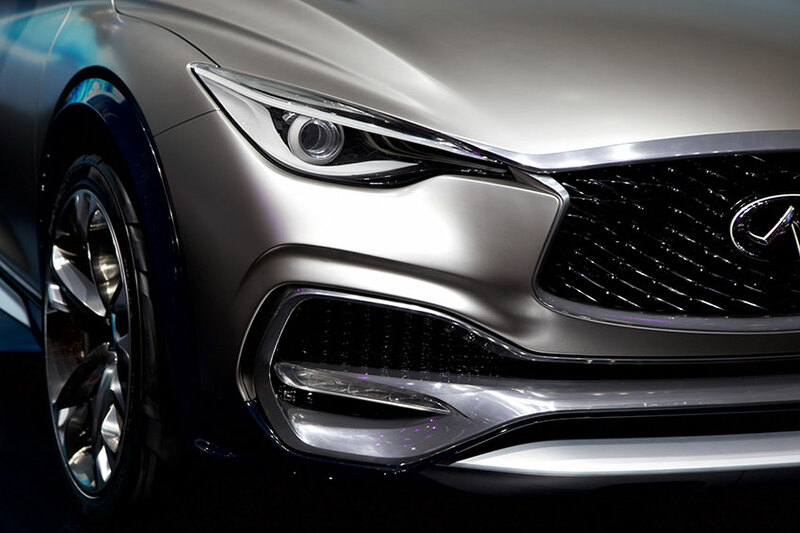 Depending on the success of marketing, overall insurance company perception may change for Infiniti vehicles. This could influence insurance pricing up or down, depending on how demographics and attitudes actually shift. Generally, Infiniti models cost more to repair after collisions. That’s not unusual for luxury car lines. There are a few model years that fall under national averages, such as the 2005 G35 four door, which came in at just 89 percent of the national average. Compare that with the FX35 four door all-wheel drive coming in at 208 percent. Most models and years show higher than average costs for collision repair claims. Most Infiniti models also cost more to settle comprehensive insurance claims. The most common non-collision risks covered by comprehensive endorsements include fire, theft and vandalism, as well as damage from extreme weather conditions such as hail. The G35 model line, however, is an exception to the rule, usually sitting within the average range for comprehensive claims. Some model years even came in under average. This improves the overall insurance premium performance of G35 series models. The marketing trend toward younger drivers could bring about conditions that place upward pressure on auto insurance for the Infiniti brand. Higher insurance rates for younger drivers base on two characteristics – lack of insurance history and aggressive, inexperienced drivers. The latter of these, in particular, contributes to more common and more severe collisions. Should Infiniti models become involved in more accidents due to successful youth appeal marketing, all Infiniti drivers could see climbing insurance rates as insurance companies respond to the changing market. One of the biggest vehicle safety issues in the news is the Takata airbag recall, dating back to devices installed in 2014, in nearly every manufacturer’s vehicles. Car and Driver published a comprehensive guide assisting motorists of affected vehicles. Certain Infiniti models are among those recalled. Infiniti 2008 EX35, 2009 FX35 and FX45 SUVs have a steering issue under recall. 2013 Infiniti JX35 and 2014 QX60 have a braking issue. The JX35 also has a front passenger airbag issue that’s unrelated to the Takata recall. 2006 to 2010 Infiniti M models have an acceleration sensor that may cause stalling. 2014 to 2016 Q50 sedans have an issue with the Direct Adaptive Steering system. Infiniti Q70 from 2014 and 2015 as well as 2012 and 2013 QX56 potentially host fuel leaks that could cause fires. 2014 to 2016 QX60 SUVs could have loose bolts that interfere with brake performance and steering control. 2013 and 2014 Infiniti JX35 and QX60 models have hood latch issues. The 2014 Infiniti QX60 could have lug nut problems leading to wheel separation. JX35 and QX60 models from 2013 and 2014 respectively have a recall covering a braking issue. Infiniti G series convertibles, coupes, sedans, QX SUV and QX70 have no recalls outstanding at time of publication. Finding the lowest rate for your Infiniti model is just the first step in creating the best deal. Ontario car insurance has a number of ways you can customize coverage, adding, modifying or dropping aspects of protection to give you the plan you want. One way of saving money that not all motorists investigate is through discounts. Each insurance company has its own roster of discounts, and not all companies offer all price breaks. In fact, even those insurers who do offer discounts won’t automatically apply these even when they know a driver qualifies. It’s not until the driver themselves asks for the discount for their policy that the insurance company acts. So, what kind of discounts can an Infiniti driver look for? Many people already know about multi-line discounts. 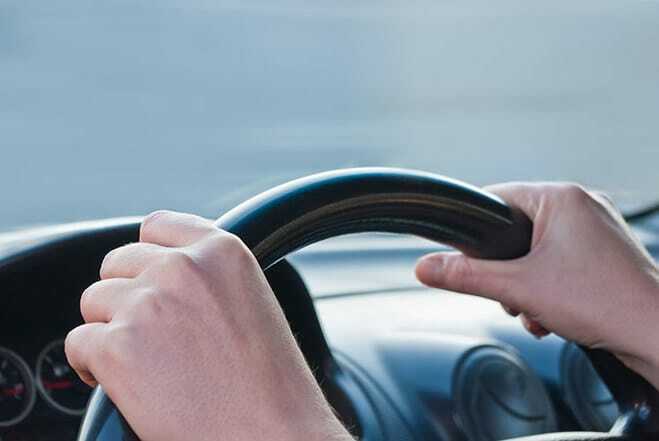 This takes effect when a driver combines home and auto insurance with one company. A discount applies to each policy. Some drivers, though, aren’t aware that some insurers offer the same for insuring a second car, recreational vehicle, snowmobile or boat. Ask your company, agent or broker what combinations apply for you. When you find a company offering a better price, it’s possible some of them may recognize your accident-free status under your previous company. Even if you qualify for a loyalty discount with one insurer, it’s still a good practice to compare rates. Every company sets its own premiums, so a competitor may offer a lower price even without a discount for loyalty. Infiniti, Nissan’s luxury vehicle brand, offers a wide range of sedans, crossovers and SUVs. Although their range isn’t as varied as some of its competitors, they make an effort to manufacture vehicles with outstanding performance and technology. With Nissan‘s reputation for reliability and customer service backing the Infiniti brand, sales of the luxury vehicles are increasing each year. Infiniti‘s vehicle lineup in Canada includes the G and M car models, the EX, JX and FX crossover models, the QX SUV and a new line of performance models called IPL. Infiniti’s popularity in Canada is growing thanks to their excellent cars and the reputation of their parent company. The infinity G25 sedan and the Infiniti EX crossover are currently the bran’s two top-selling models in Canada. The parts for Infiniti’s models are mostly available in the Canadian market, but cost depends on the model you buy. While Infiniti’s sedans are among the cheapest to repair and maintain, their SUVs are among the most expensive. Models across the whole range of Infiniti are as reliable as one would expect from a Japanese car. They don’t particularly excel in reliability in the luxury market but do keep up with other well-known brands. Most of Infiniti’s cars include a standard engine immobiliser and a presence key. They offer an elite anti-theft package that is standard in the industry and includes visible warning labels, pre-registered embedded body panels numbers and window decals. These measures deter potential thieves because your auto parts are traceable and therefore not worth stealing. Using our service, you can quickly and easily see how much it will cost you to get car insurance for a new Infiniti.